It is important for consumers to procure used vehicles and parts from reputable businesses licensed in their state. Professional automotive recyclers are aware of the dangers of defective Takata airbags and the federal requirement regarding automakers’ non-remedied recalled automotive parts. Many of these professional automotive recycling facilities are participating in Honda’s Takata buy-back program or taking other steps such as using the www.safercar.gov to prevent the reutilization of these defective airbags. 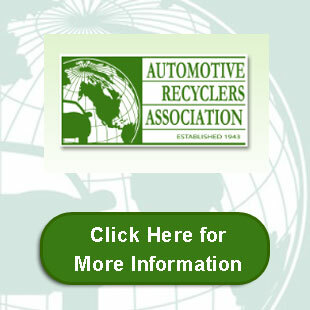 The Automotive Recyclers Association (ARA) is an international trade association of professional automotive recyclers. The ARA services over 1,000 direct member recyclers, as well as approximately 3,500 additional recyclers through affiliated organizations. The ARA does not control or direct the actions of the independent businesses who may be members, but among other things, the ARA aims to further the automotive recycling industry through various services and programs to increase public awareness of the industry’s role in conserving the future through automotive recycling and to foster awareness of the industry’s value as a high quality, low cost alternative for the automotive consumer. In addition to their vehicle dismantling and recycling processes, professional automotive recyclers provide consumers a choice when it comes to how their vehicles are repaired. Each day over a half a million recycled OEM parts, the very same parts designed by automakers to meet their fit, finish and durability standards, are sold by professional automotive recyclers to consumers who purchase these recycled OEM parts to address their motor vehicle repair needs. Auto manufacturers as well as automotive recyclers must have strong supply chain management procedures in place to correctly identify automotive parts for these repairs in today’s electronic marketplace and for tomorrow’s intelligent vehicles. Access to OEM part numbers and other identifying parts information is critical to supply chain management. The only way to determine exactly which particular part is built into a vehicle, however, is for automotive manufacturer to provide professional automotive recyclers the information necessary to clearly identify all parts, systems or components by their vehicle manufacturer’s OE parts number, parts identifier and serial number which is related to the unique Vehicle Identification Number (VIN) of each motor vehicle. Our global partners agree with the need for automakers to provide vehicle parts data to industry stakeholders and understand that this data is critical due to the growing complexity of vehicles, increasing number of parts and more use of on-board electronics. To address this need, European Union regulations require vehicle manufacturers to ensure that independent operators have easy, restriction-free and standardized access to vehicle repair and maintenance information. ARA continues to encourage automotive manufacturers to do the right thing and provide the professional automotive recycling industry comprehensive access to both original equipment part numbers tied to specific VINs and other OE parts identification data such as parts identifiers and serial number information to enhance consumer safety and recall efficiency.